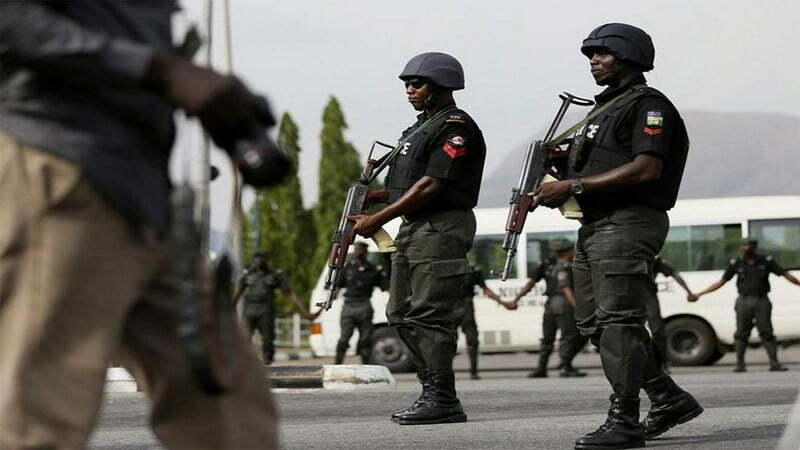 The Delta State Police Command, Thursday, confirmed the death of a kidnapper as well as the arrest of six others and recovery of arms in Oko-Ogbele Community, near Asaba. The Delta State Commissioner of Police, CP. Muhammad Alhaji Mustafa made the confirmation in a statement signed by the Acting Police Public Relations Officer,DSP Andrew Aniamaka. The Commissioner of Police Stated that the suspect “sustained some degrees of injuries” in an attempt to escape during cross fire with the police. “He was rushed to Hospital but was later confirmed dead by the Doctor on duty,” he said. CP Mustafa said the remains of the suspect had deposited at Federal Medical Centre, Asaba, while the Police recovered One Pump Action and one cut to Size Locally Made Pistol from the kidnap syndicate. CP Mustafa also added that one Sgt. Emeka Otu also sustained some injuries during the cross fire with the kidnap syndicate. The arrested six suspects include: Onyedika Okolie 22yrs, Uchegbunam Gabriel 21 yrs, Stephen Michael 23yrs, Uzor Chukwuemeka Henry 23yrs, Obi Onyekachi Gerald, 20yrs and Chukwuemeka Awogu, 24yrs old. CP. Mustafa stated that some time in 2017, a kidnapping syndicate made up of five men, instructed Obi Onyekachi Gerald to monitor any person who is of ransom value for purpose of kidnap. According to him,”Obi Onyekachi Gerald monitored the victim, named Josephine Anomfueme, 44yrs old and disclosed her identity to his kidnap syndicate. “On the 9th February 2018, the kidnapping syndicate led by one Stephen Michael aka “leader” jumped into the victim’s compound through the fence and tied down the security man. “The hoodlums damaged a water tap very close to the victim’s bed room and water over flooded the compound. When the victim came outside to check the water tap, the kidnappers surrounded her and ordered her into the house on gun point, stole her phones and whisked her into her Toyota Corolla and drove to Oko-Ogbele where the victim was later rescued. “Her vehicle was recovered and four suspects were arrested. On interrogation, the suspects confessed to the crime and implicated one Onyedika Okolie and Chukwuemeka Awogu and others now at large as members of their kidnapping syndicate. “On 10th February 2018, while the investigating team was on their way for search and recovery of arms, they ran into the ambush of kidnapping gang who attempted to rescue the suspects. CP Mustafa stressed that it was during the cross fire that ensued that one Sgt Emeka Otu sustained some injuries, while the deceased suspect died.